Nothing brings the Dungeons & Dragons™ to life more than the creatures that inhabit it - and playing with painted miniatures, representing your mighty heroes or foul monster encounters, makes the adventure coming to life in front of you. The official GF9 D&D™ Painting Series called: Nolzur's Marvelous Pigments, will offer you a perfect starting palette of the basic "must-have" colours to paint your player characters (Adventurers set) as well as a comprehensive palette for all things evil, nasty and chaotic (Monsters set). 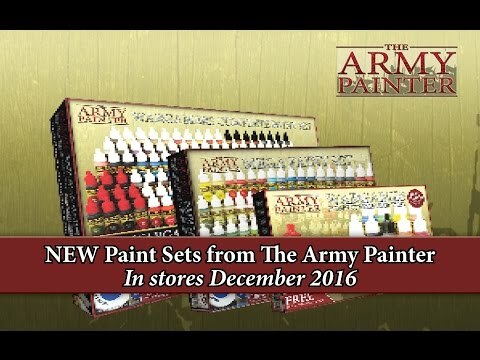 On top of all this, each paint set comes with a fantastic miniature absolutely FREE! specifically designed for painting highly detailed miniatures. apply multiple layers of paint.